PARLIAMENT HILL—The federal Liberals’ attempt to have Parliament sit for four days a week instead of five is running into strong opposition. On March 10, the Friday before spring break, the Government House Leader’s website published a discussion paper titled “Reforming the Standing Orders of the House of Commons,” proposing major changes to the way Parliament functions. These include eliminating Friday sittings in the House, adopting the British system of having the prime minister appear just one day a week during question period to answer questions, allowing electronic voting, and limiting the delay powers of opposition MPs. “The Government has committed to modernize the rules of the House in order to make Parliament more relevant to Canadians,” the paper said, adding that the purpose is to stimulate a discussion of reforms to the Standing Orders. During question period on March 21, Conservative and NDP MPs criticized the proposal to eliminate Friday sittings, saying it would enable the Liberals to be unaccountable and limit the Opposition’s ability to challenge the government. “It’s not simply an inconvenience for the prime minister to come in every day to answer questions; it is an essential thing for him to be accountable to all Canadians. How can the prime minister justify his desire to only come once a week? Why is he trying to escape his responsibilities?” said Opposition Leader Rona Ambrose. In June 2016, the Procedure and House Affairs committee held hearings on making Parliament more “family friendly” by eliminating Friday sittings but found no consensus among MPs. That same committee will be studying the current changes proposed by the government. 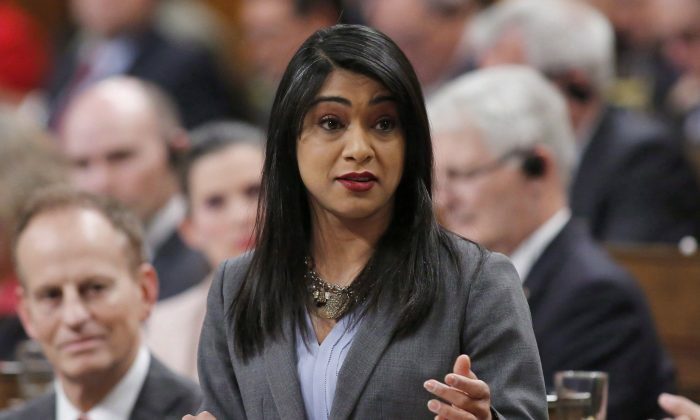 “We have asked the committee to do the important work that it does to modernize this place and to bring it into the 21st century,” said House Leader Bardish Chagger, who released the discussion paper. “It is the Liberal prime minister who wants to automatically limit debate on all government bills, and it is the Liberal prime minister who says he only has to show up one day a week to answer questions Canadians have for him,” he said.